The colours are absolutely gorgeous. 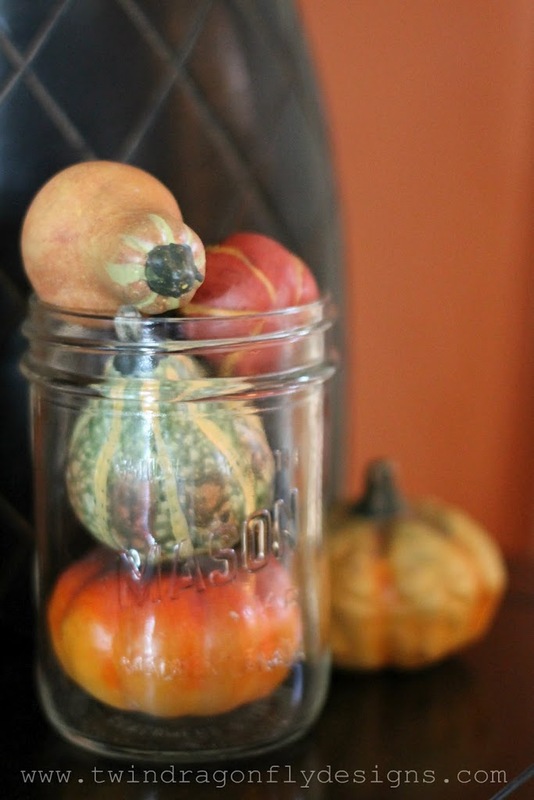 Usually I am one of the first people that I know to start decorating for fall. This year it took me a little longer ~ I blame the unseasonably warm weather we have been having. Kids were still swimming in the lake at the beginning of October. This is Canada people! It’s supposed to be cold. hee hee. We’re still in shorts and t-shirts, it’s awesome! But finally the leaves have started to change colour and so too has our decor. 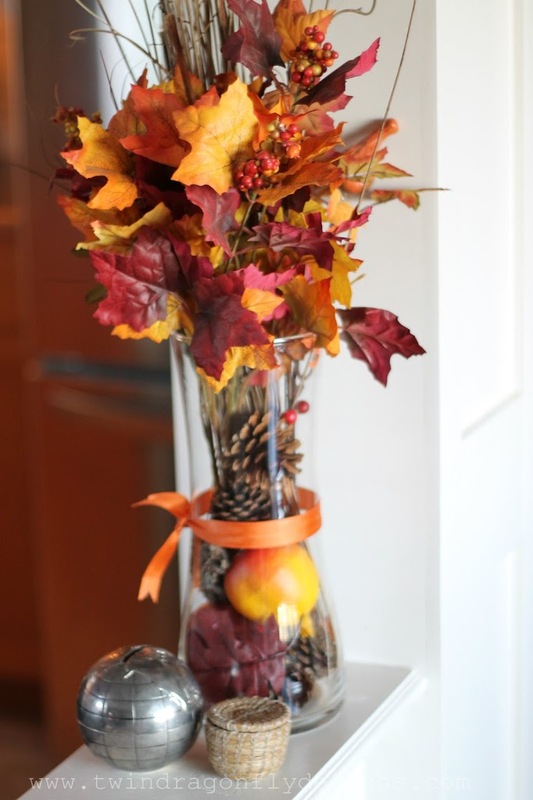 I filled this vase with some pine cones and fall colour. The little basket is one that I made out of pine needles back in high school and the silver globe piggy bank was a fab find from the thrift store at two dollars! $2! Whoop, whoop! 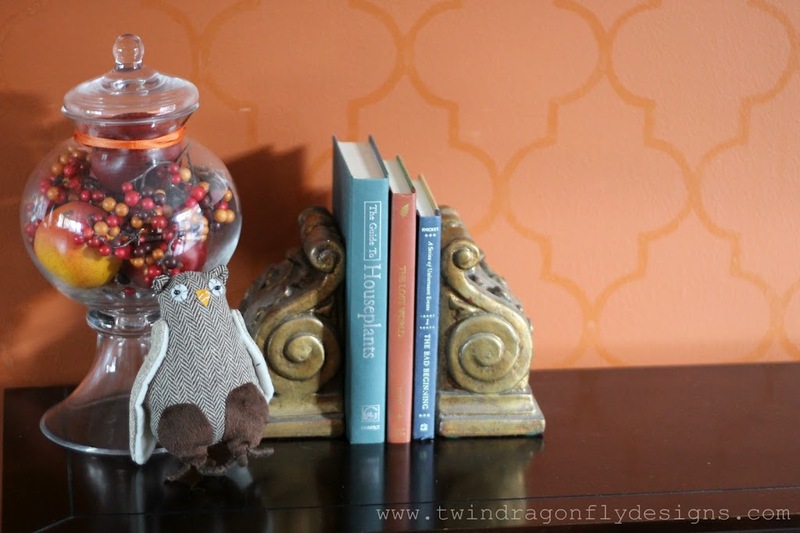 On the buffet in the dining room I have a jar filled with fall colour, an owl found at Superstore and book ends from a garage sale. 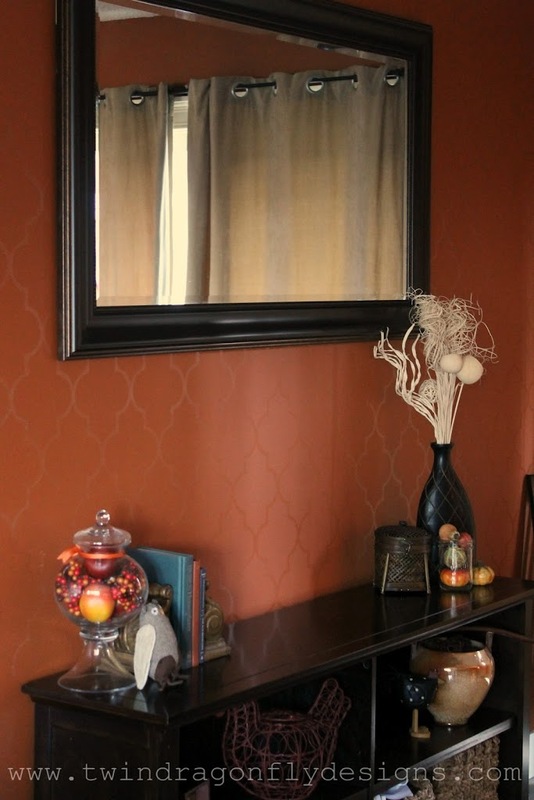 Click through for more fall decor and the whole video tour. 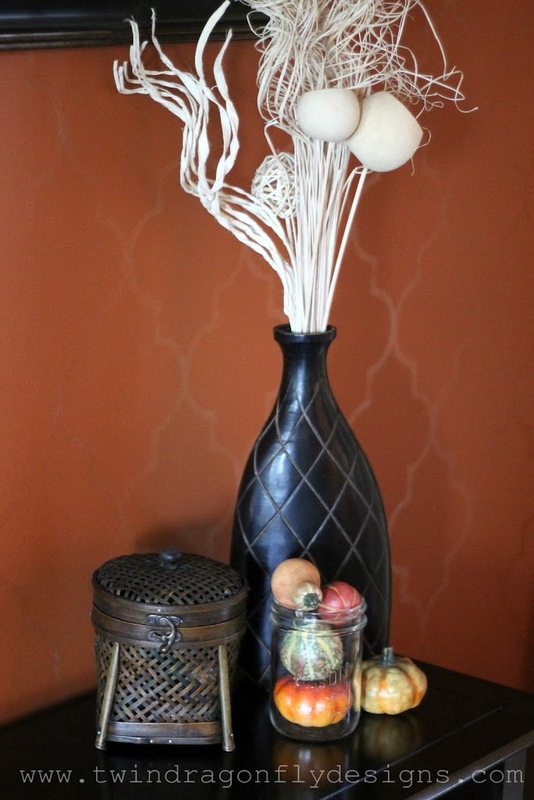 This vase is from Homesense, the wicker basket from my grandma and the ceramic gourds are from the dollar store. I love pairing different textures together to add interest to the space. The chevron fabric on this little owl really called to me. 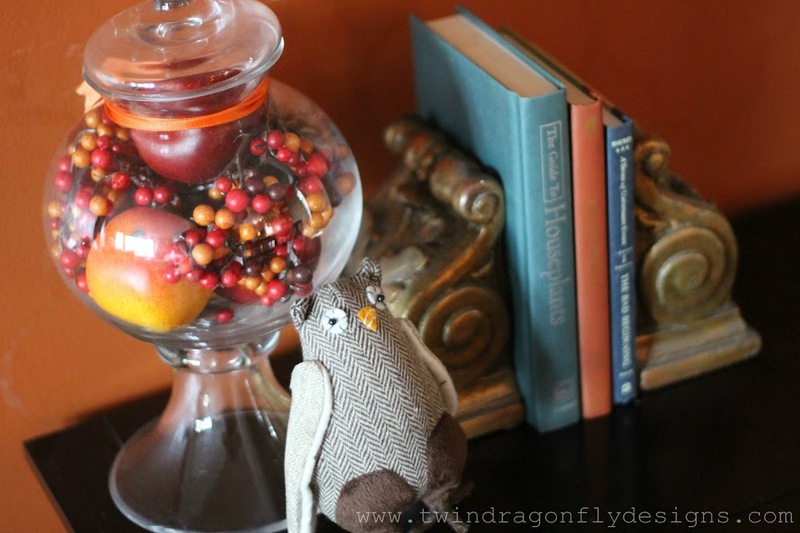 I have used the glass vase in almost all of my displays ~ I love that you can fill it with almost anything to coordinate with the season. I couldn’t find a glass vase the right size for this spot so I used a Mason jar. With all of the canning that I have been doing, it fits right in. Our buffet in the dining room is actually a bookshelf that I found at Superstore. Check out the whole tour of our living room, dining room and kitchen. Welcome to our home! I love fall decor. It just feels so warm and cozy!